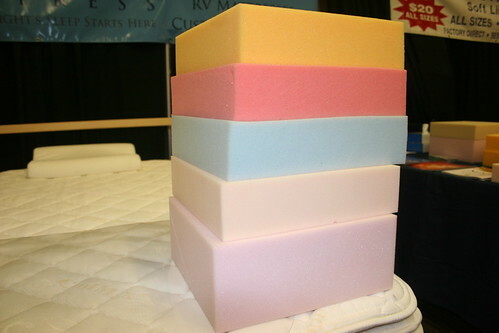 Memory foam is becoming increasingly popular. Many people with chronic back pain, neck pain or other health problems have found these products to be very beneficial. The memory foam forms to your body while you sleep and gives you more support. It is important to understand different aspects of memory foam because it will prolong the life of your mattress. Memory foam has to be compressed in order to be shipped and stored. However, the wrong kind of compression can actually be more harmful than helpful. There are mainly two ways foam mattresses can be compressed: vacuum compression and hydraulic compression. Vacuum compression removes all air from the mattress before it is rolled. Hydraulic compression uses two large objects to smash the foam before being rolled. As you can imagine, hydraulic pressure causes damage to the foam because the foam is smashed. Vacuum compression is safe to use on high quality memory foam products. Although compression is necessary to ship and store memory foam, it is not ideal. Memory foam needs to be give the opportunity to mold into its original position. Thus, it isn’t ideal for it to be stored in a tight roll. Try to find a memory foam mattress that hasn’t had the amount of stress caused by long term shipping and storage.